Our Lobby hours are Monday through Friday, 8 am to 4:30 pm. Please refer to our Holiday Schedule page for a list of observed holidays. 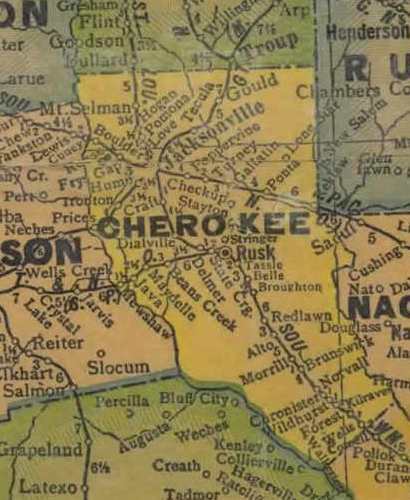 The Cherokee County Appraisal District welcomes you to our website. We hope you will find the information contained here to be useful. At this site, you may search the appraisal roll data, look at a copy of The Taxpayers Rights, Remedies and Responsibilities, and browse related sites that we thought might be of interest. Be sure to bookmark this page for future reference. Cherokee County Appraisal District is responsible for appraising all real and business personal property within Cherokee County. The District appraises property according to the Texas Property Tax Code and the Uniform Standards of Professional Appraisal Practices (USPAP). Carlisle ISD within Cherokee Co. City of Bullard within Cherokee Co.
New Summerfield ISD City of Troup within Cherokee Co.
Rusk ISD within Cherokee Co. There are several ways to file an administrative complaint. The following links describe each method. A person should carefully review those options in deciding the best avenue for filing a complaint. It is important to note that this complaint process DOES NOT refer to formal protests of value, equity or related matters that may affect your property.